Just like your car, a well-maintained bike directly leads to a better ride. Plus, if you’re confident your bike is reliable and up to the challenge you’ll, hands down, have a better experience. At Velo Ronny’s we pride ourselves in quality workmanship, our specialist services include a full Shimano and Bosch certified workshop. 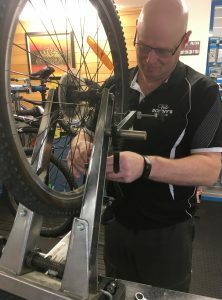 Shaun and Curtis are passionate, honest, mechanics with years of experience working on all bikes from kids bikes and E-Bikes to shock service and Di2. This is the general maintenance service, we check the bike over and keep you going. Have a big event coming up? The Annual Service is the perfect way to get geared up and make sure everything is running smoothly so you don’t have any “mechanicals” during your big day. This is the big one! 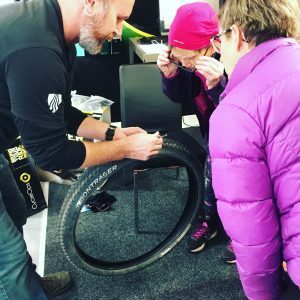 Want your bike to ride like new again? Well this is as close as you’ll get. 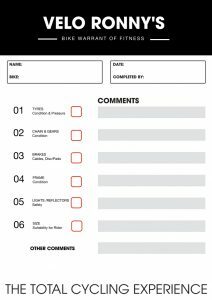 We go over every aspect of your bike to get it in optimal shape.